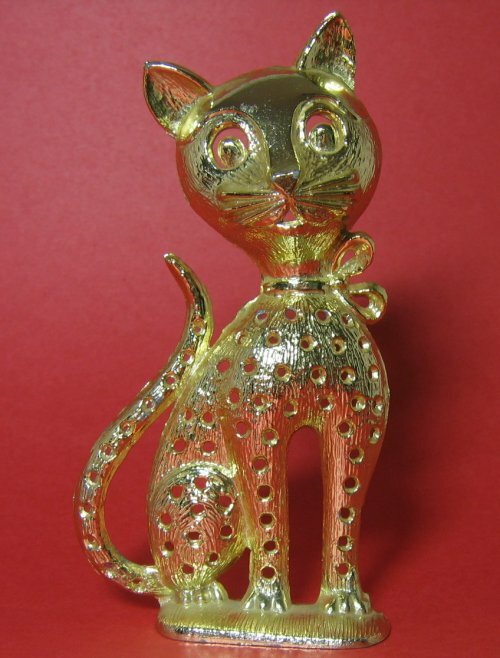 Vintage Cat Earring Tree Holder Torino - Cat Lovers Delight! CAT LOVERS DELIGHT! A signed TORINO earring tree! Such an adorable high class cat! Measures 5 3/4" tall by 2 3/4" wide. No goldtone wear on front or back, but the bottom underneath is missing most of the goldtone. Base measures 2" by 1".